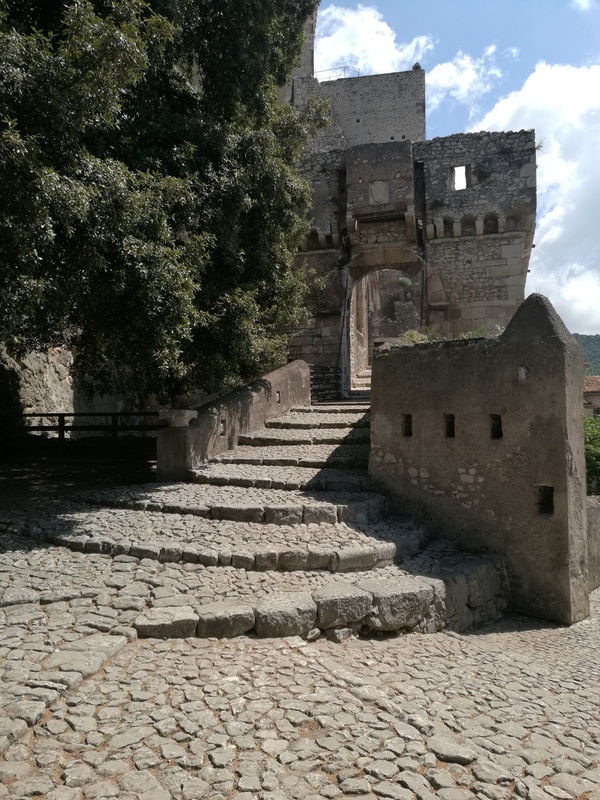 Castello di Sermoneta has a plethora of fascinating construction details and small spaces waiting to be explored. The entrance to the castle is a series of gates, drawbridges and winding steps – designed to weaken the enemy’s attack. 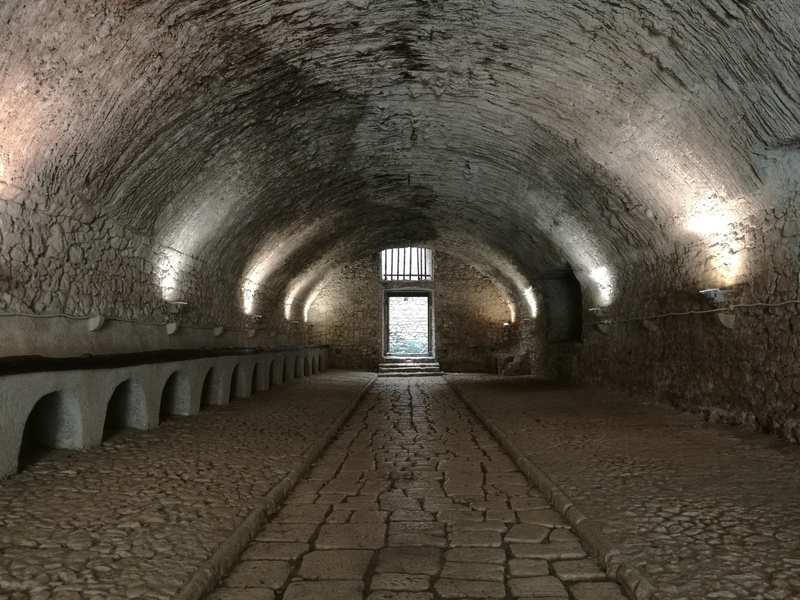 There are also a couple of ‘roof lights’ which are holes right on top of gates, so defenders could pour down hot oil and stones onto their unwelcomed guests in battle. What I liked the most about the castle is perhaps its deep windows, sometimes going up to 3 metres deep. 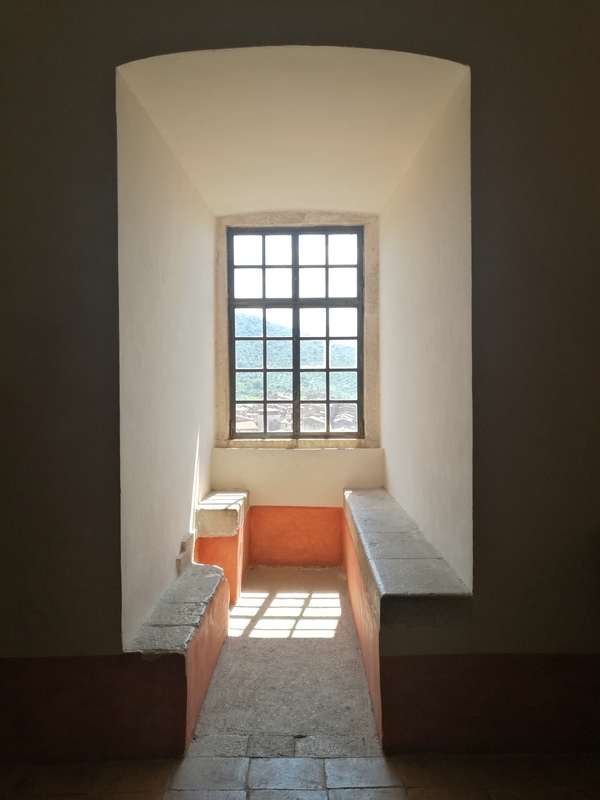 What is peculiar about these windows is that even though it is a castle, a number of these alcove spaces are meant as quiet reading spaces for its residents (Pope’s relatives). So although it is an impenetrable castle from the outside, with its rough stones and guarded gates, on the inside, it gives an impression of peace and tranquility. Another space that I found different is the horse stables. Covered with straws on the roof to withhold heat in the underground room, the stable can hold twenty horses. It is probably the definition of a medieval stable. I could almost see the knights preparing for battle, sense the horses getting uneasy, smell the blood and sweat and feel the incoming doom. 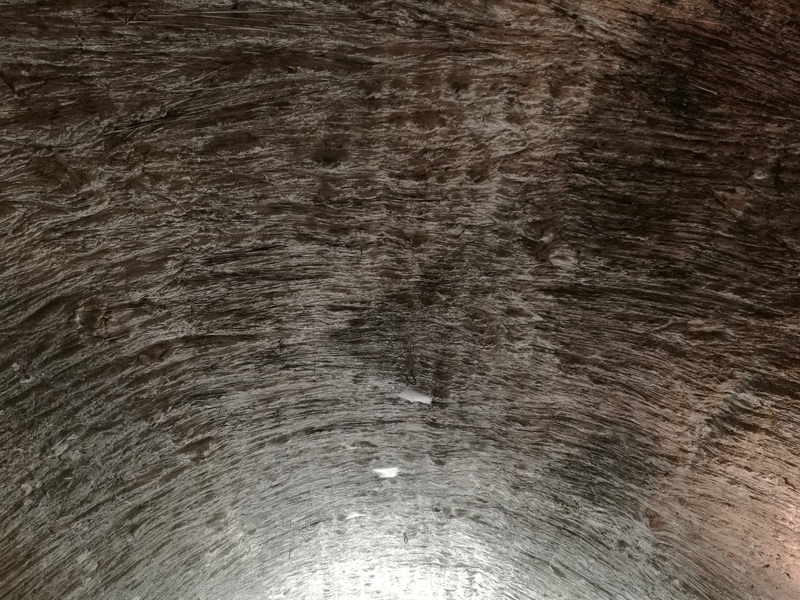 The eeriness of the arched stable is increased tenfold with the rough texture of the straw roof – giving it an almost grotto-like atmosphere. 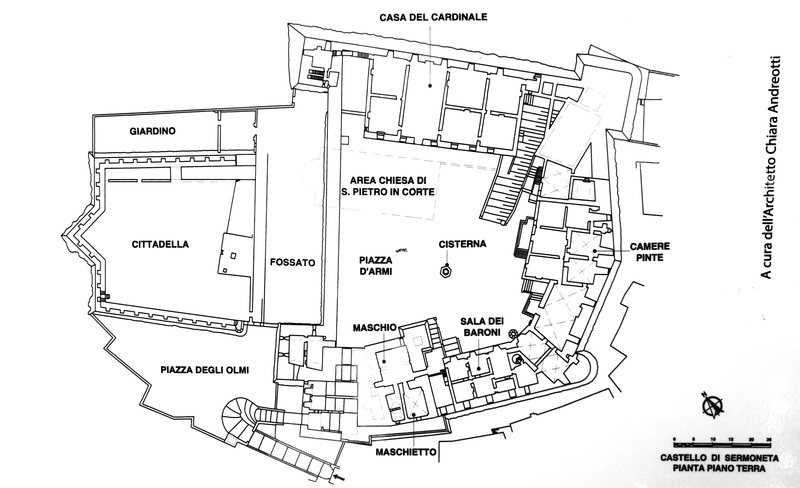 The internal courtyard is a story in itself. 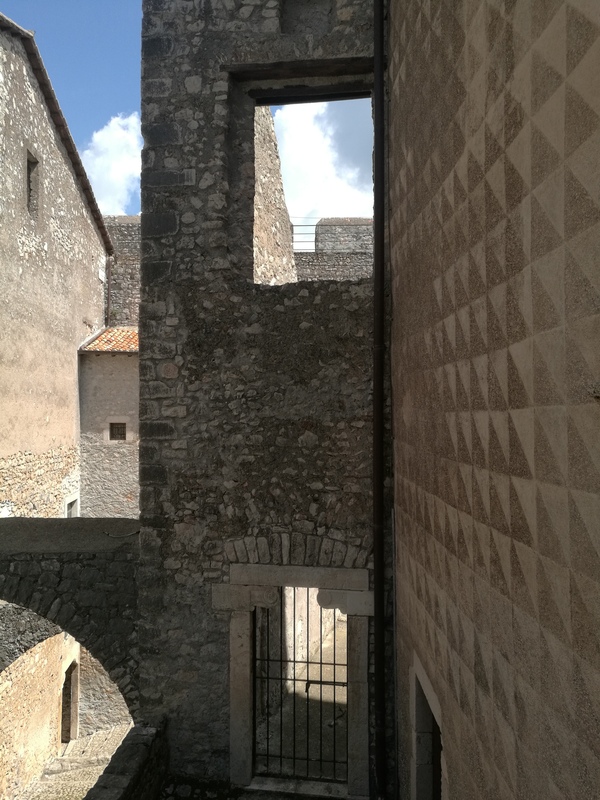 There are at least five different types of facades looking onto the courtyard, each working with the individual building’s history, function and aesthetics.